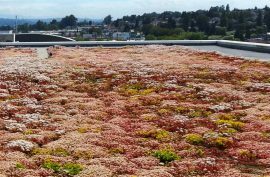 The two-hectare, rolling green roof of the Vancouver Convention Centre West is the largest in Canada. It has become famous for its biodiversity – more than 400,000 indigenous plants, attracting and protecting a host of wildlife. The roof has also been highly successful in improving the building’s energy performance. The VCC is the world’s first double LEED Platinum convention centre. The health and durability of the centre’s roof rely on excellent drainage. 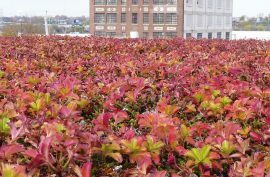 This has been enhanced by the use of our Enkadrain 3611R green roof drain. 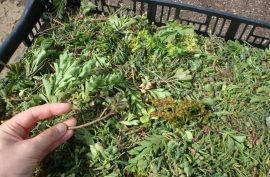 It sits beneath the roof’s plants, maintaining the optimum water/air balance for their roots, and delivering excellent drainage, even under heavy compression from the soil above. A high degree of flexibility also helped it conform well to the roof’s complex design shape during construction. Vancouver is renowned for its heavy rainfall. A solution that could reliably remove large amounts of excess water was essential for the roof’s success. Enkadrain 3611R’s high permeability and resistance to compression have ensured this, as well as contributing both resilience and durability to the project. 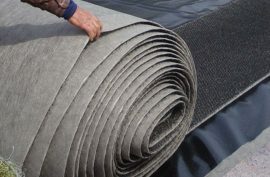 Its ease of fitting – large, lightweight rolls, quick to place and cut – aided installation. And the 40% recycled content within its construction has made it an environmentally friendly solution for a landmark of sustainability.  Enkadrain 3611R has a 95% open structure and does not suffer from fabric intrusion. This lends it superior drainage characteristics compared to the competition. Its waffle drain core design maintains excellent water flow under heavy loads and compression. 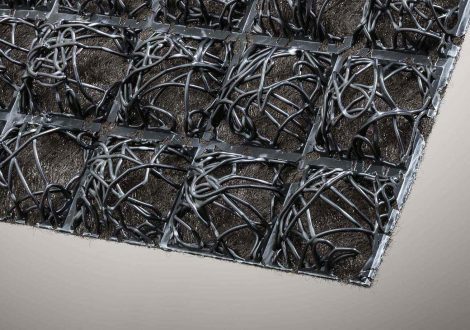 High air and water permeability help it achieve a water/air balance ideal for plant roots and healthy growth. 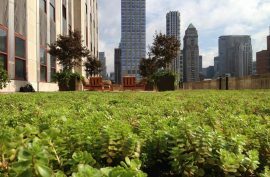 Enkadrain 3611R comes in large, lightweight, flexible rolls that are easy to cut, shape and fix – a particular advantage for green roofs with complex contours. Made with 40% recycled content, it’s an environmentally friendly solution that contributes to the Vancouver centre’s LEED Platinum certification.